Wedding photographer based in Essex, also covering London, Kent, Surrey, Hertfordshire, Suffolk and further. I like to photograph in a calm and unobtrusive style, letting the day flow naturally. 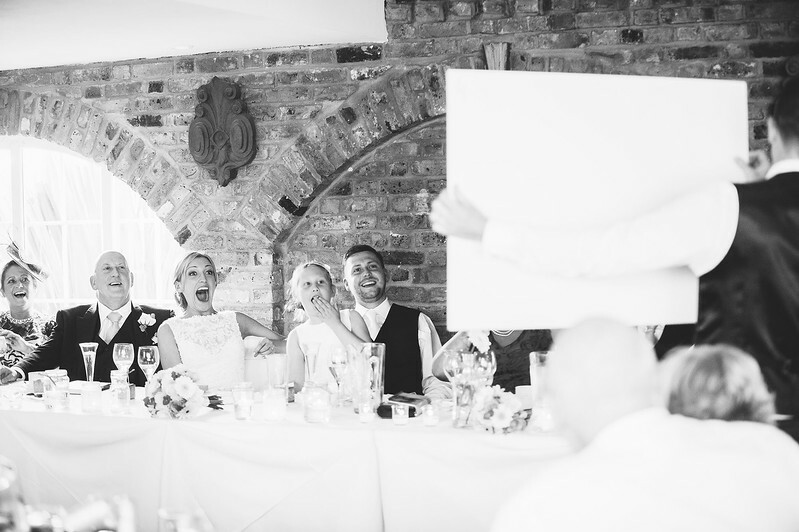 However I can instigate a group shot swiftly whilst keeping smiles on everyone’s faces – no-one should be getting bored! Weddings can be hectic and busy, but they don’t have to be stressful – I like to meet or at least chat on the ‘phone beforehand to go through all of the details on the day. I have, what I call, my Bible for the day, a sheet of paper with effectively your family tree – so I know who is important and who not to miss. I don’t want to miss your favourite Aunt, or the cousin you were practically brought up with! I also like to go through a timeline for the day – not to keep track of you! Just so I am aware and prepared for the surprise fireworks, or Mum’s dog walking the rings down the aisle – whatever it is! I have a price guide containing various packages which all include a memory stick with full-resolution images – for you to print and share to your hearts content. Click here for price guide. Or get in touch for a personalised quote.